PE Schools Save 1.9 Million Trees!!! The Schools Recycling Project deemed successful once again in the first term of 2014, with a total weight of 171345kg, almost doubling the total for the first term of 2013! With a saving of 17 trees per ton of paper recycled, the schools in Port Elizabeth saved approximately 1.9 million trees! 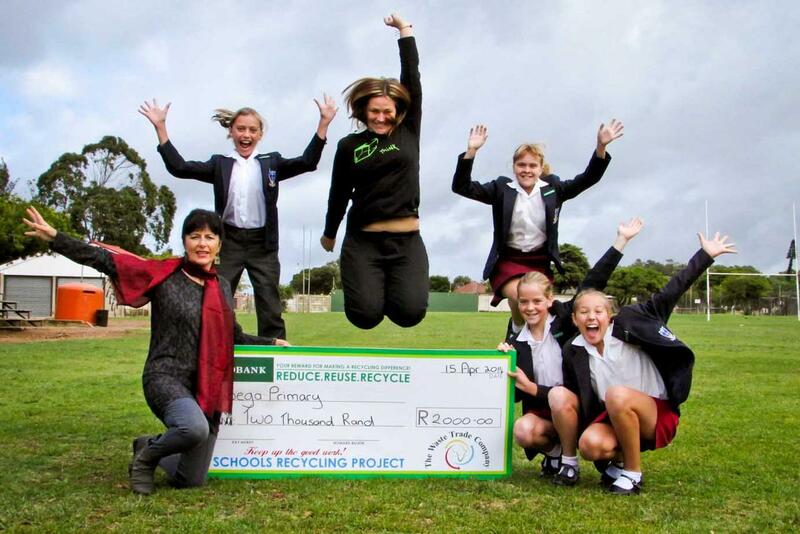 Green champion Sunridge Primary took the lead with a total of 20080kg of collected recyclables, run by Bonita Slabbert who is passionate about the recycling project at Sunridge and wishes to leave behind a positive legacy when her children leave primary school one day. Kabega Primary have grown very popular for their involvement in all things green. The new “Groenspoor” prefects celebrate their second place with a total of 8944kg. “I love being a green prefect as it helps to clean up all the litter that is lying around. It is also fun to make something that you can use again from waste. Recyclables are brought to school every day, and we take turns to sort the material into the correct bins. I have always wanted to help keep the planet green. Everybody must recycle and help keep the earth green, even if you only pick up one piece of paper a day.” – Andrea Hanekom, one of Kabega’s newest green prefects.